One of those key cases where Miles Davis took a familiar song and made it his own! 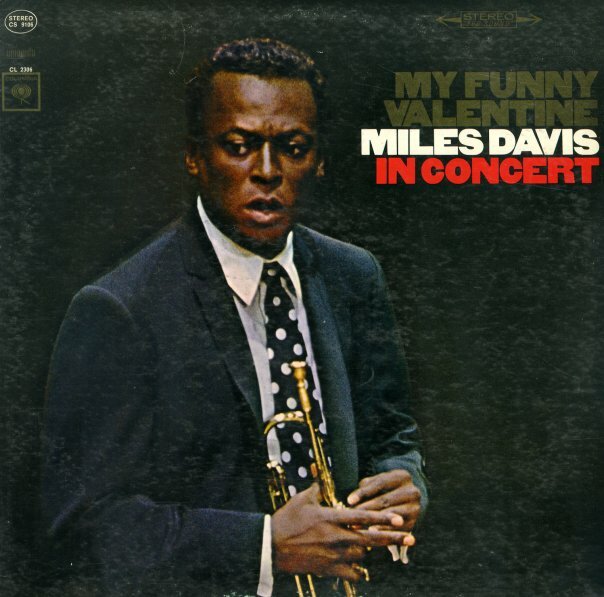 The set's a live one, and features a famous 15 minute version of "My Funny Valentine" – played by Davis in a spacious, open sort of way – and one that has key hints of the modernism to come in his music, yet still rings out with some of his more easygoing late 50s appeal. The group here features George Coleman on tenor alongside the rhythm section of Herbie Hancock piano, Ron Carter bass, and Tony Williams on drums – all three of whom help Davis edge into darker territory, even when things are ostensibly sweet! Apart from the version of "My Funny Valentine", other titles include "All Blues", "All Of You", "I Thought About You", and "Stella By Starlight" © 1996-2019, Dusty Groove, Inc.